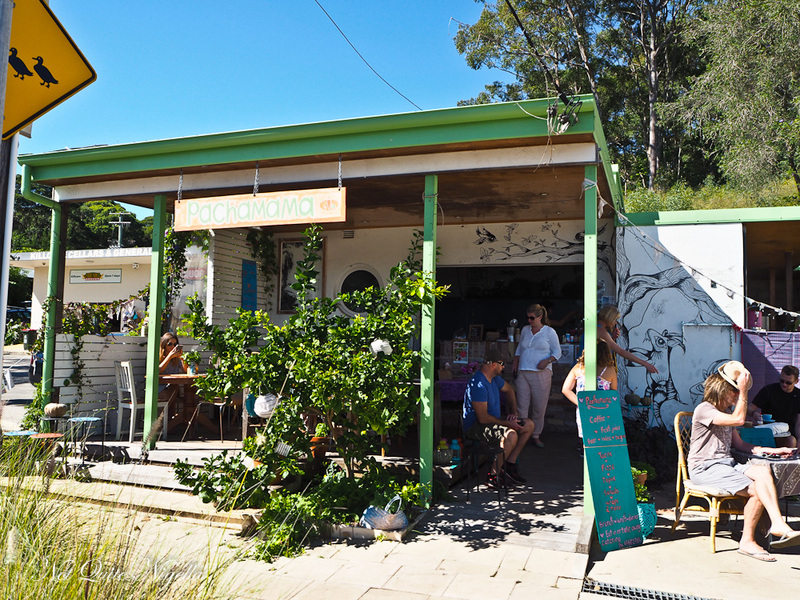 The Central Coast's offerings for food come ahead in leaps and bounds with a range of top notch cafes and restaurants offering a range of healthy and delicious food. 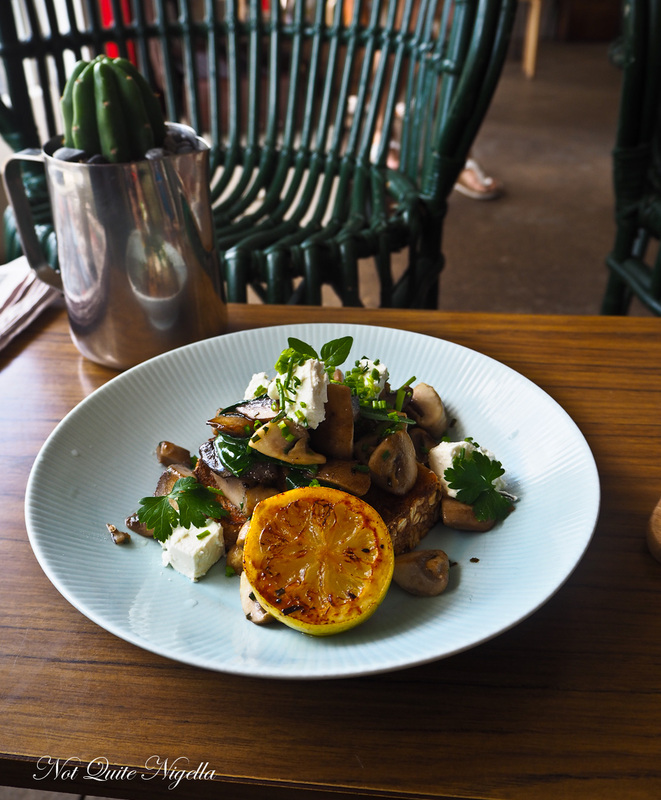 Breakfast can be had at Like Minds where cold drip coffee and warm service is served or at Pachamama with an emphasis on freshly picked produce from the owner's plot of farmland nearby. Lunch at Bombini is an Italian affair with delightful Italian dishes while Bells at Killcare offers not only a serene place to rest your head. And then there is the lauded Manfredi at Bells restaurant. "Shall we play a game?" Mr NQN to me. "Of course," I answer laughing back. 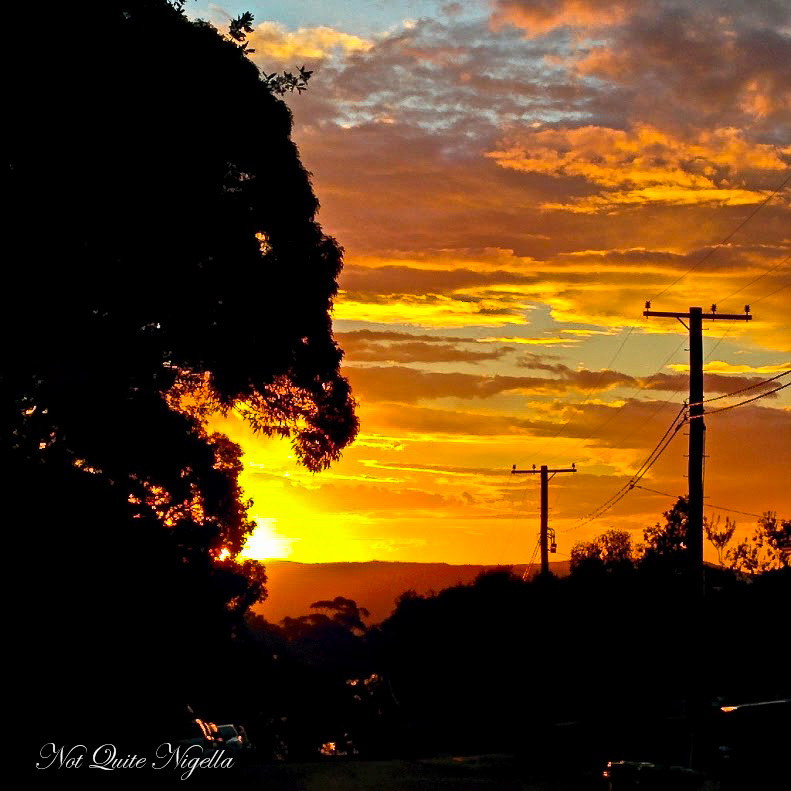 We were on our way to the Central Coast during the Easter long weekend and the sun was shining after two days of pouring, relentless rain. Nothing could dampen my mood. "Can you guess the names of sailing clubs if I give you the initials?" he asks. Typical Mr NQN. And he starts to rattle off a list of acronyms which passes the time as traffic ebbs and flows. We get onto the motorway where the space between cars widens and the sun shines brightly and deeply into the car warming my legs. I shift the hem of my dress up so that my pale thighs get some sun. We pass a family of four fishing in the river. Each family member is facing a different direction and their postures suggest an easy familial familiarity and ease with each other. Four day weekends are truly things of beauty. At 11am we reach our first stop at Avoca Beach. Having underestimated the weather (or is that overestimated the chill?) I'm overdressed if the crowd at Like Minds is anything to go by. Everyone is dressed casually in shorts while I have a long sleeved dress. 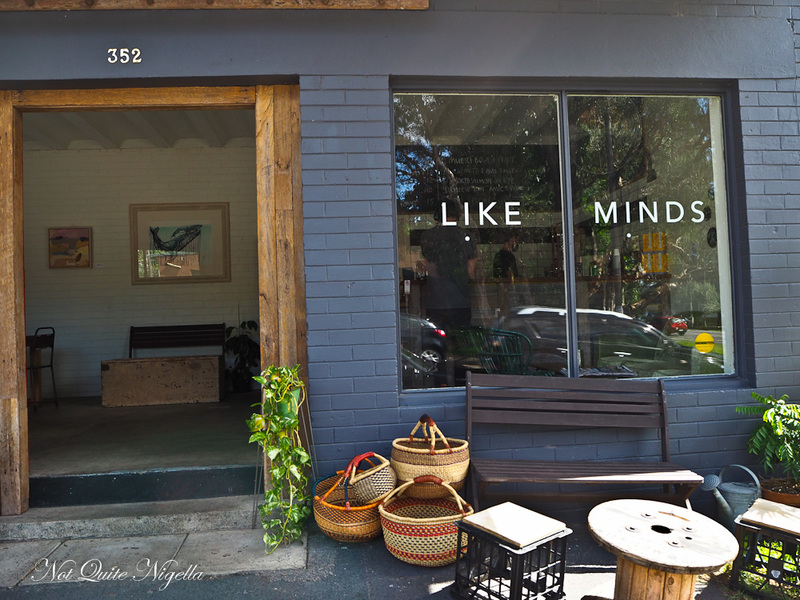 The crowd at Like Minds is very friendly as is the staff. Run by couple Mel Morgan and Jimmy Rolph there is a neat menu of drinks and eats and just about the friendliest staff you could ever meet. The crowd here comes in waves and when we walk in there is a small crowd and by the time we navigate our way around the outdoor and indoor area and choose a spot, suddenly the cafe is full with people. I order a chipotle mocha coffee while Mr NQN orders a cold drip coffee. We order a couple of things to nibble on, mindful of lunch just a couple of hours away. 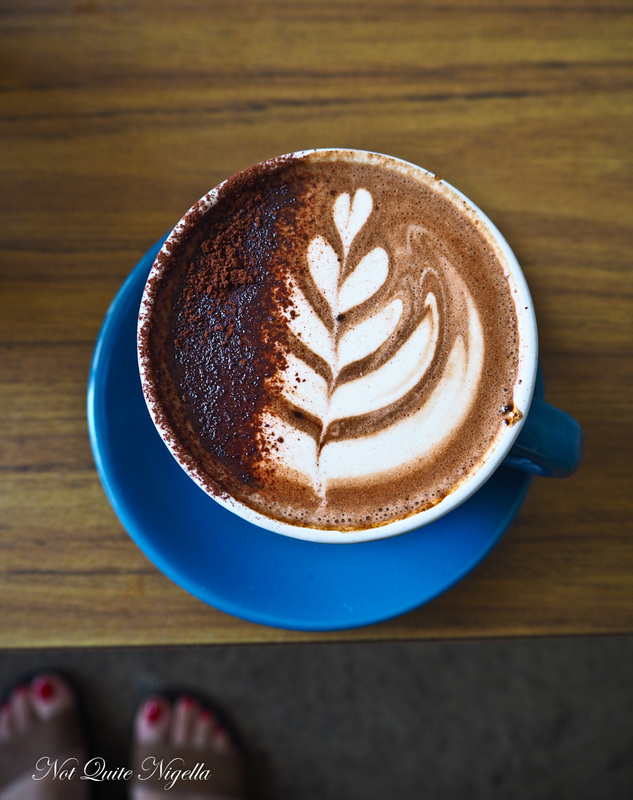 The mocha arrives and I take a sip wondering if the chilli will hit me in an avalanche or a tickle. It's somewhere between the two, the warm embrace coming in right at the end. 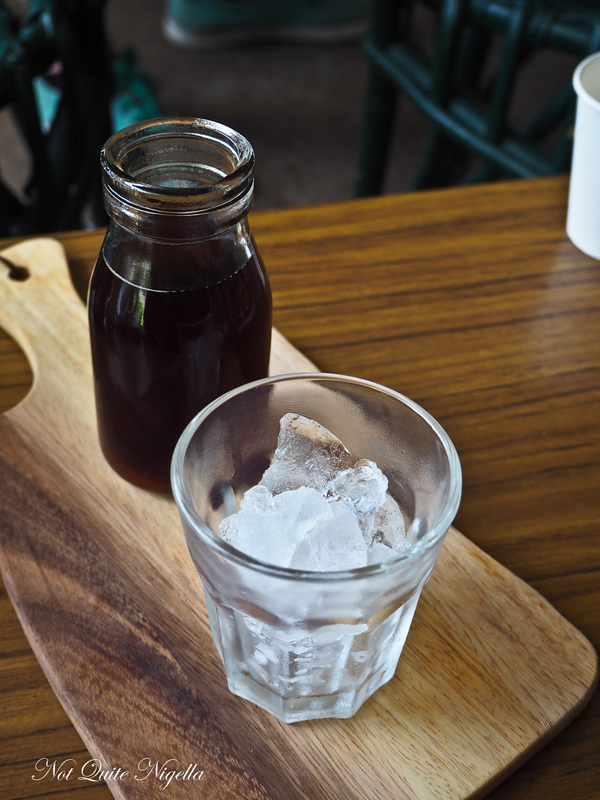 Mr NQN is very happy with his cold drip coffee (he is obsessed with them and has made suggestions that we need to buy our own contraption one day). The food arrives and Mr NQN digs into the mushrooms on toast that consists of fat pieces of quartered mushrooms with tangy feta on a slice of toasted multigrain bread. The herbs are from the kitchen garden just at the front of the property. 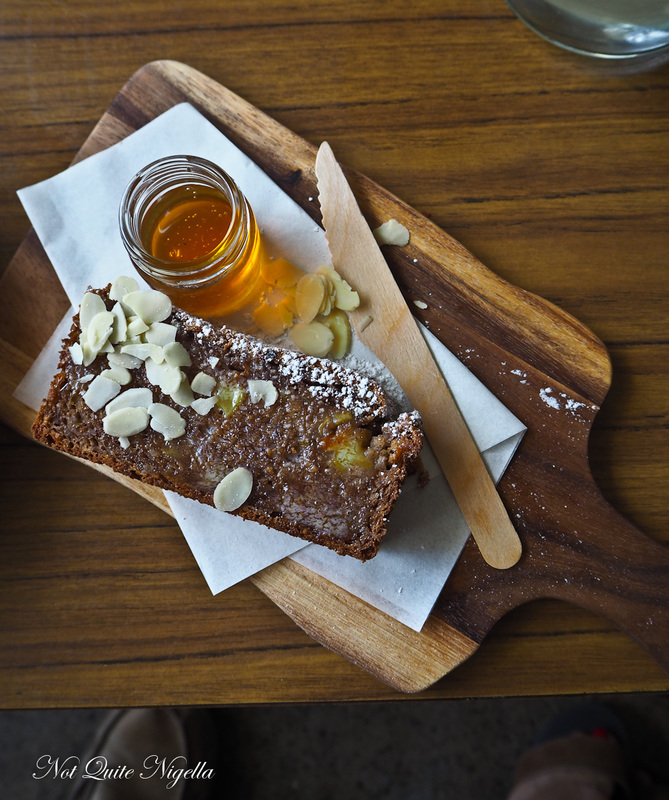 My apple and cinnamon bread is made by a local woman Bec who makes a range of gluten free cakes, biscuits and breads. This is soft and comes warmed and buttered with a little pot of honey from a local beekeeper. Hunger pangs settled we sit back and relax in the gentle hum of the cafe and watch the crowds. Before we know it, it's time to head to Bombini. Located on Avoca Drive where Rojo Rocket used to sit, it has been thoroughly revamped with a white and yellow colour theme. Located on 2 acres of land with 36 different types of fruit trees and a large vegetable garden, a chalkboard details what is currently being harvested from the garden. 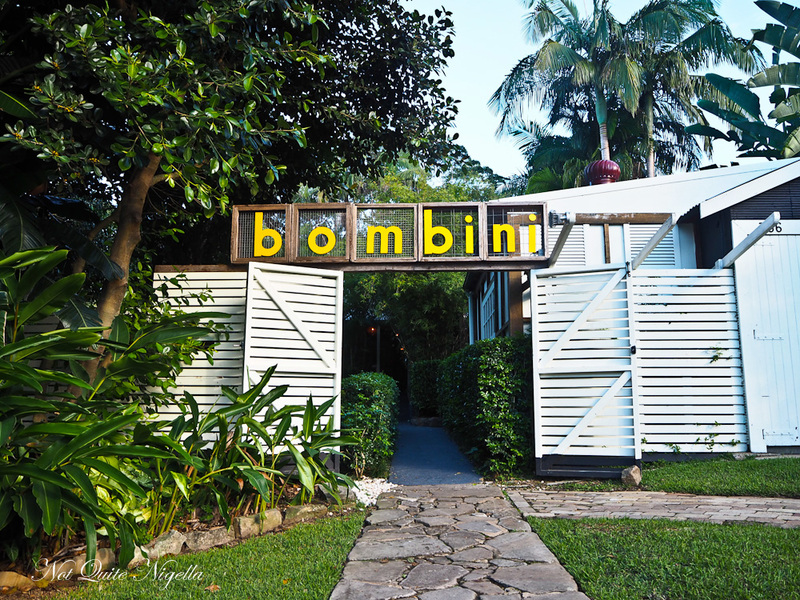 Bombini (or Bumblebee in Italian) follows a relaxed La Dolce Vita sort of ethos with long, lingering lunches and aperitivo evenings on Fridays and Saturday nights. Aperitivo hour was one of the things that we really enjoyed in Italy where for the price of a drink you can help yourself to a range of complimentary snacks. Former Manfredi at Bells chef Cameron Cansdell and Hayley Cansdell own and run Bombini. 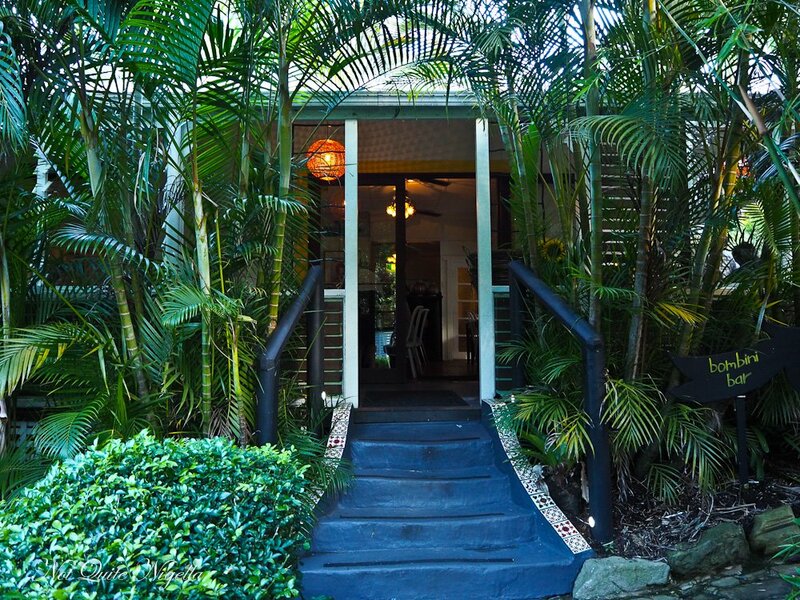 Today is a Sunday lunch and it's a popular destination with couples and large groups taking up many of the nooks and crannies in this converted Queenslander home. The pick on a sunny day is on the verandah as inside can tend towards a little dark. Cameron explains "the philosophy at Bombini is to produce a restaurant which is semi self sufficient, being well aware the amount of waste restaurants produce, we aim to minimise our waste and in turn creating a natural waste cycle. We compost our green waste and papers in the garden by using “Aerobins" (composting systems), to fertilise the garden, as well as feed the chickens with green waste." And why Italian? "In the kitchen my passion is for Italian food, mostly the elegant food of the north of Italy around Piedmont however I love the vibrancy of the south of Italy and will occasional use this influence in my preparations," says Cameron. At the front is The Pantry, a little store with freshly baked breads, olive oil and a small range of provisions for those self catering. 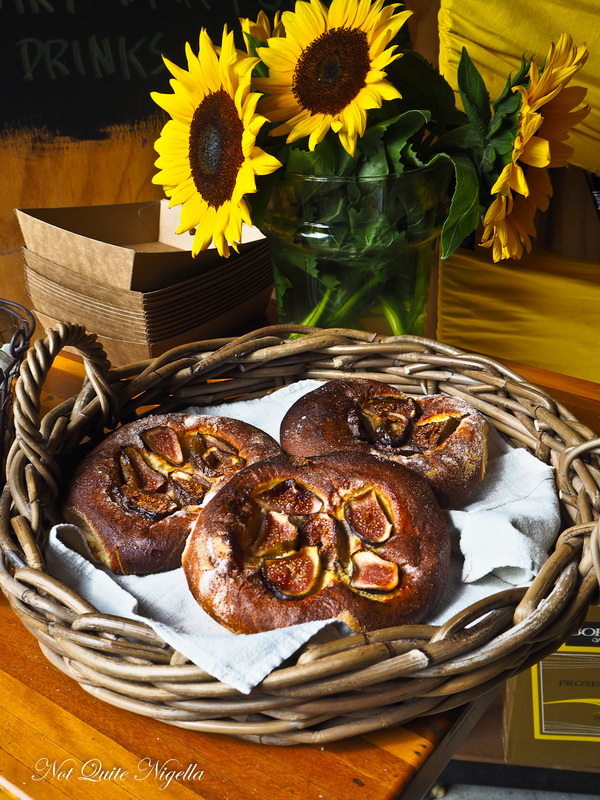 I buy a round of fig bread and an onion filone bread. 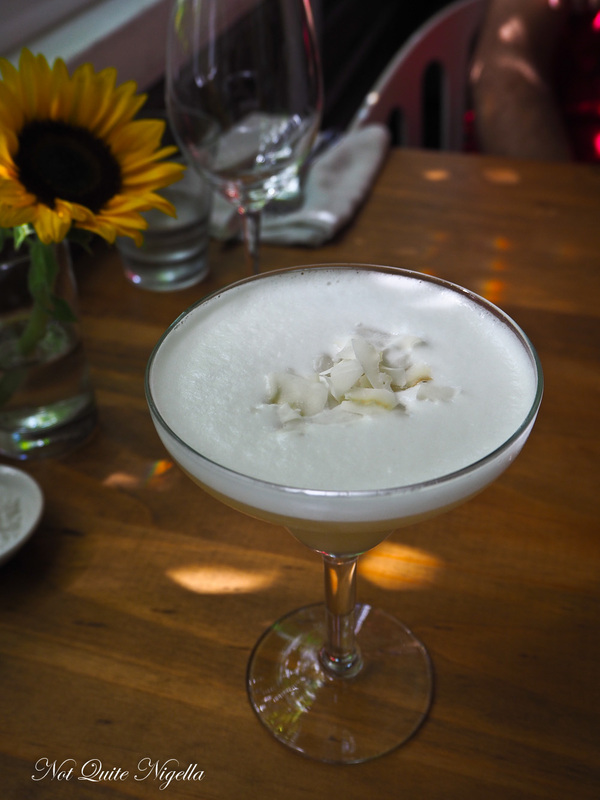 It's time for a relaxing cocktail (oh how I do love cocktail hour!) and the Cocobomb is a sweet and tropical cocktail tasting of coconut and pineapple with 1800 coconut tequila, sierra tequila, pineapple and agave. We are busy deciding on the menu - there's antipasti, cured meats, firsts, seconds and sides not to mention cheese and dessert and we decide to go a bit of this and that and mix things up because it is lunch and we also have dinner tonight. The menu changes at least weekly - sometimes daily depending on what comes in at the market. Our two entrees arrive and this is one of the appetisers. 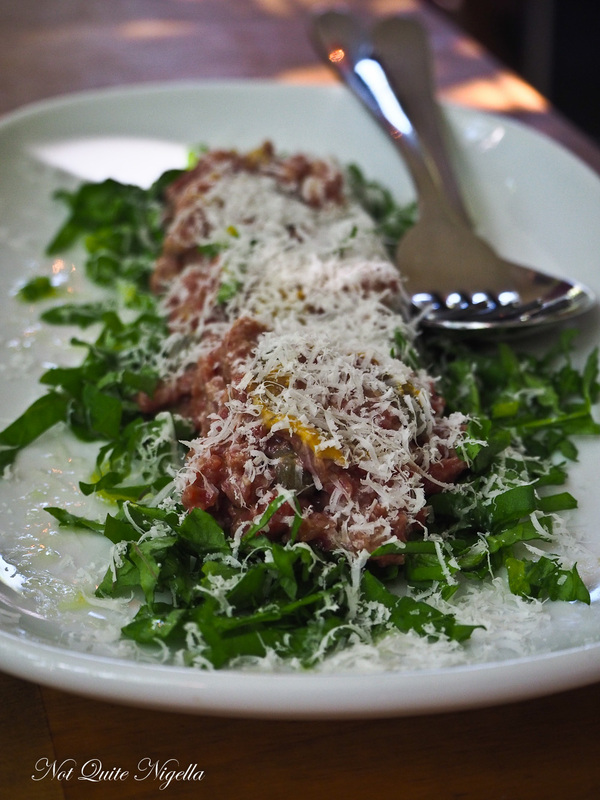 The beef battuta is diced raw beef mixed with capers, black truffle mustard, Grana Padano cheese and shredded rocket. The mustard and capers really lift the flavour of the beef while the cheese seasons it well. It's one of those dishes that is light but full flavoured. It's the beetroot however that has me making plans to make something similar when entertaining friends. The roasted beetroot is cut into chunks and sits on a bed of creamy almond, walnut and olive oil emulsion. 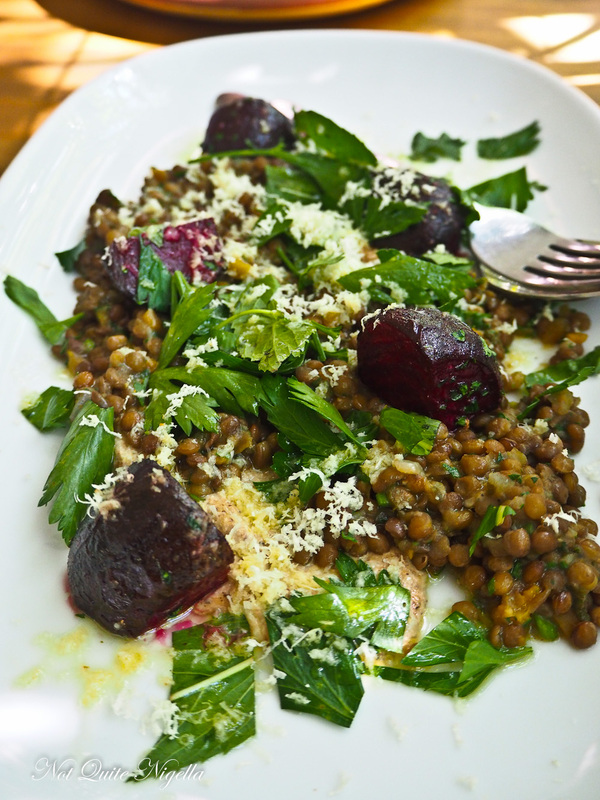 There's a touch of horseradish, green lentils and fresh mint and the whole dish goes perfectly together and incidentally goes really well with the beef too. It was a toss up between this and the house made pappardelle with duck, veal and rosemary ragu but the lightness of this appealed, especially with the rich beef main. The Pasta Mancini brand spaghetti is made with an ancient wheat variety called turanicum and is said to be a more easily digestible grain. 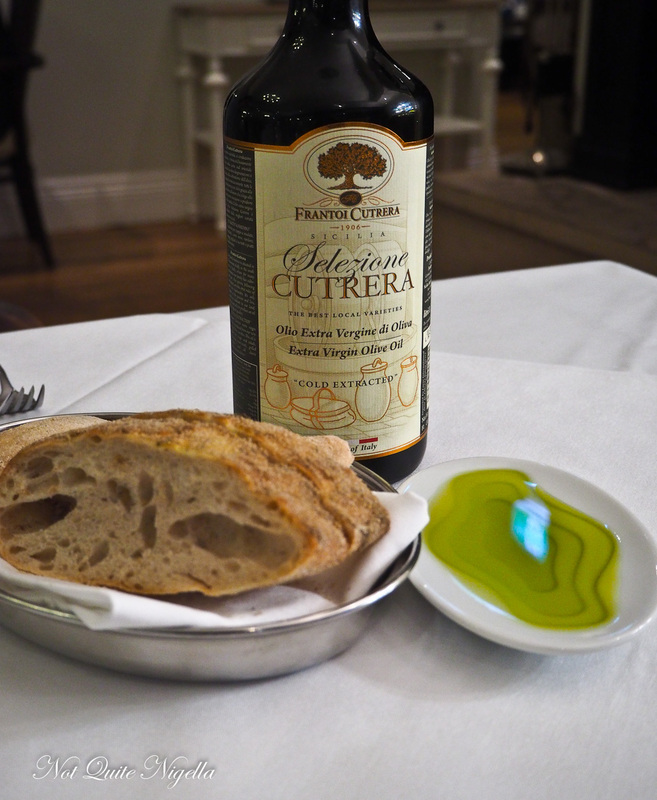 It has the perfect al dente texture to it and almost a wholemeal or wholesome quality to the pasta. There is seared yellow fin tuna, capers, chilli and a Garum di tonno sauce similar to anchovies and made using tuna entrails, thyme, rosemary, juniper, wild fennel, mint,garlic, celery cured in salt and plenty of olive oil. 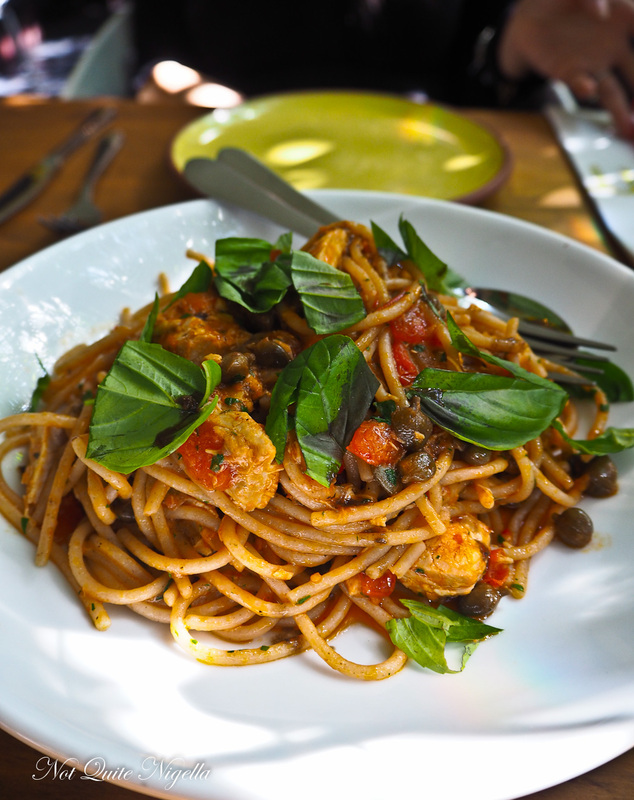 The pasta is full of flavour and comes in an entree and a main size - this is the main size and is robust and filling. The Tasmanian Cape Grim grass fed short rib comes on the bone and I poke at it with a knife. It is so soft with a crispy, caramelised layer on top. This is rich, unctuous beef at its best. The serve is judicious - any more would be inviting trouble (well for me at least ;)). 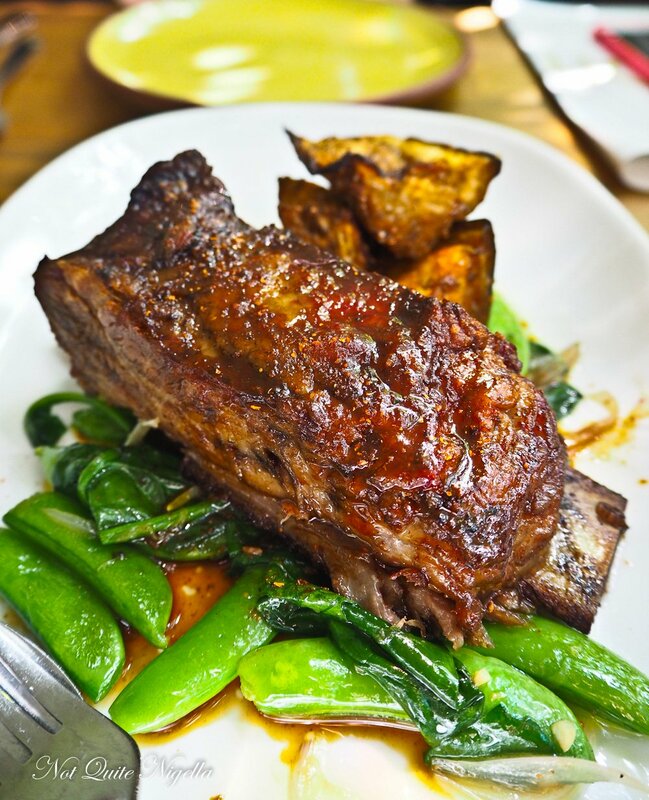 The smoked chilli is mild, it's not until after when I read the menu that I am reminded of it but the creamy roast eggplant chunks and sugar snap peas give the rich meat a necessary contrast. 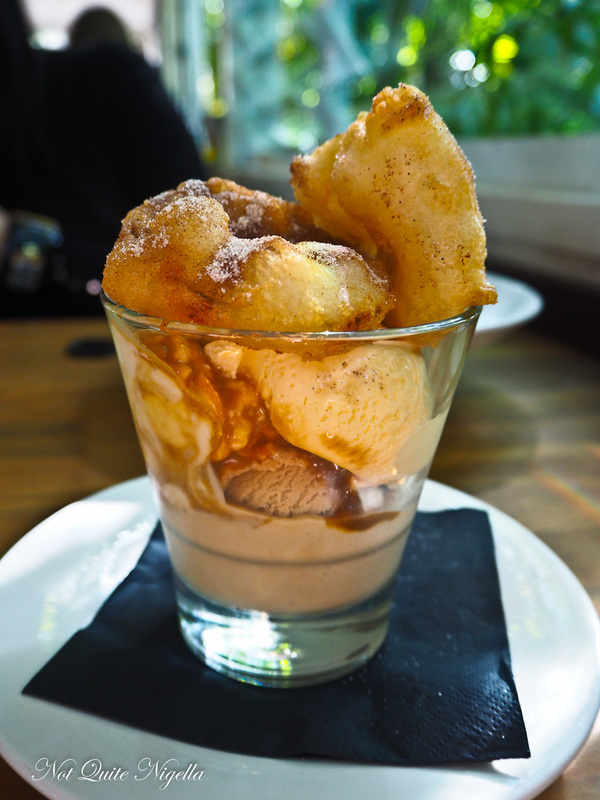 We ask Hayley about her recommendations for dessert and as soon as she mentions apple fritters and gelato I am sold. Freshly made in house and churned daily the gelati flavours today are butterscotch and hazelnut. The gelati is much creamier than I expect, indeed more of an ice cream than a lighter gelati but it is topped with two perfectly fried round apple fritters dusted in cinnamon sugar on top. It was between this dessert or the Amedei chocolate ganache but considering how much we had eaten this was the pick. 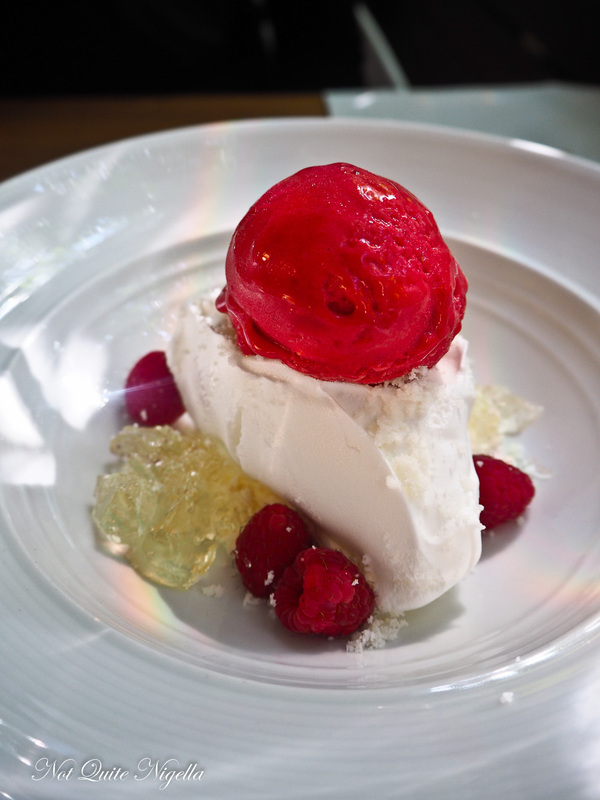 It's a layer of meringue, a layer of vanilla cream, a scoop of raspberry gelato, fresh raspberries and a Prosecco jelly. As Mr NQN scoops up the last of the dessert, he pushes away the bowl and declares, "I'm totally full now." Now usually that's fine but we have dinner in a few hours and we head towards Bells at Killcare about 15 minutes' drive away. It's our second visit here to the property, the first visit to Bells a few years ago. 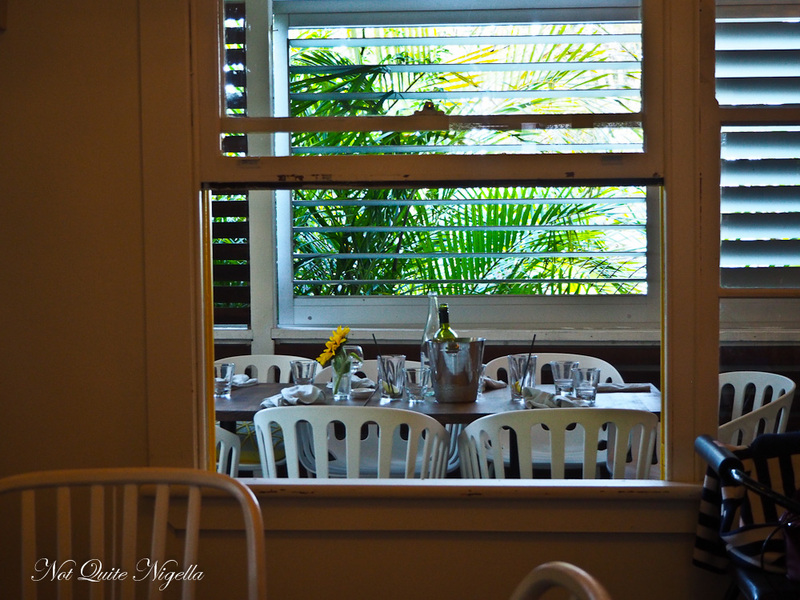 We drive up to the reception area where the Manfredi at Bells restaurant is also located. They hands us the keys and we take the short drive to our villa #20, a lovely lake view villa. Each villa is paired with another although you don't see each other unless you are on your verandah (and even then it is through slats) and there is a carpark right outside the door. Our villa is large at 57 square metres and open plan with a separate sitting room separated by a fireplace wall. 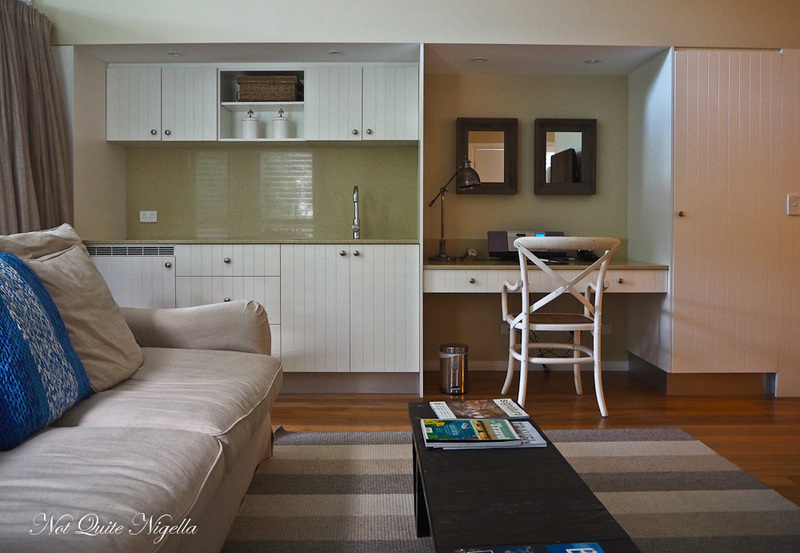 There are two flat screen televisions, one for the bedroom and one for the lounge or sitting room. 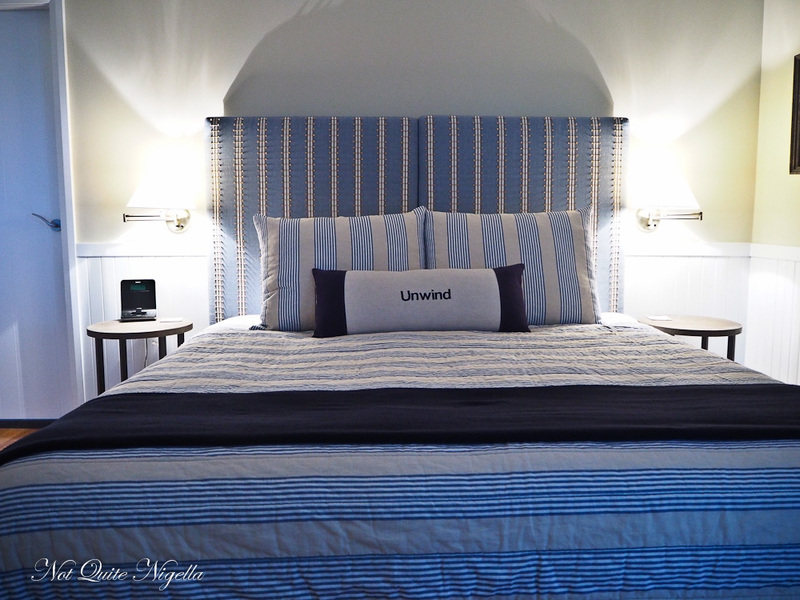 The bed is a queen sized bed and there is also plenty of closet space. There is a fridge but there is just milk and water in it. When we had previously visited there were provisions for breakfast. 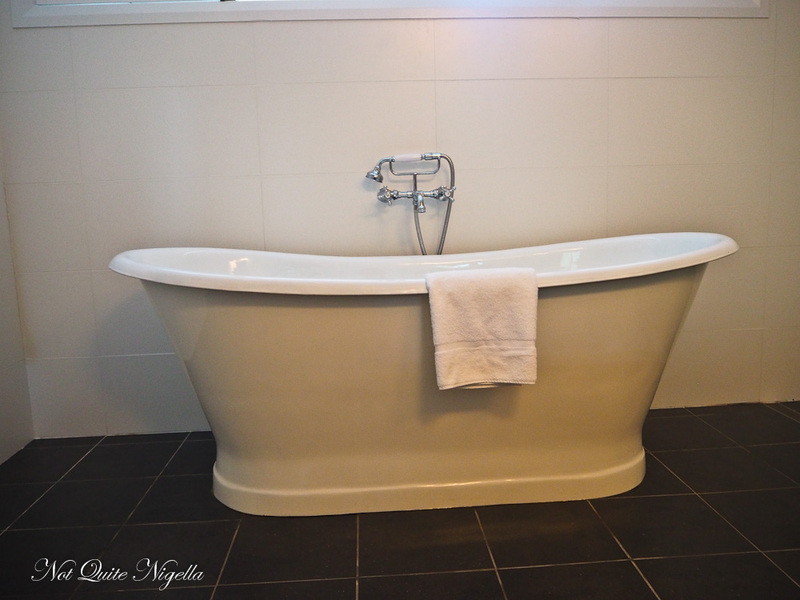 From the bedroom is a spacious bathroom with a freestanding bath, shower and twin sinks. 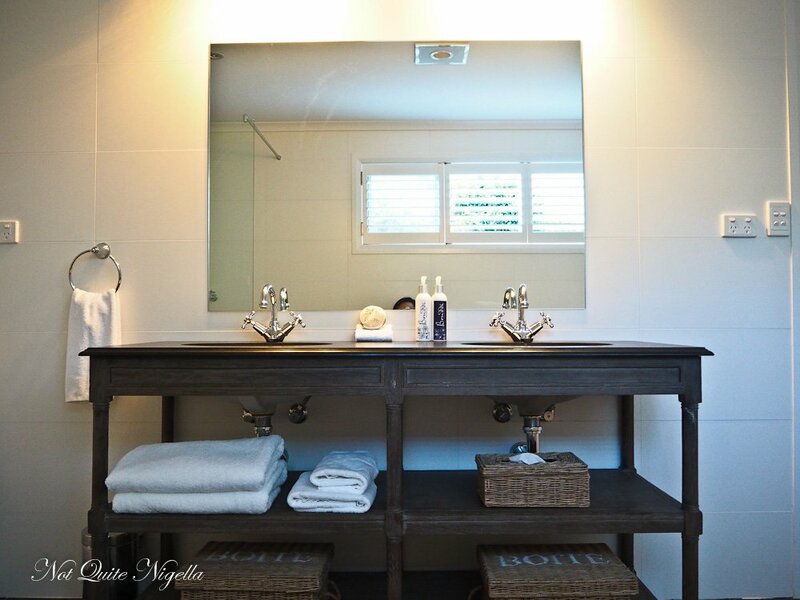 Large sized amenities are provided and the aromas are inspired from the Bouddi rainforest that Bells at Killcare sits in. 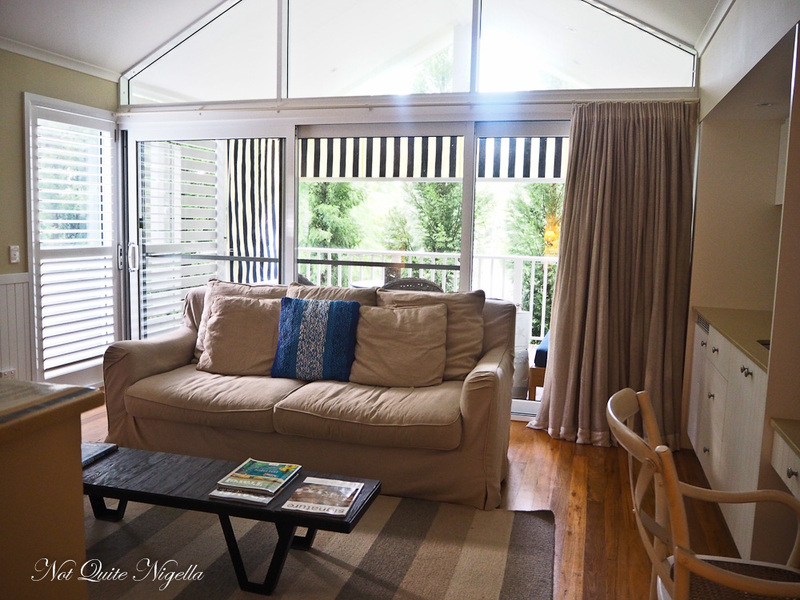 The sitting room has a small kitchen area and a good sized outdoor sitting area with privacy via strategically placed blinds and slats. Internet is free and fast for unlimited devices. 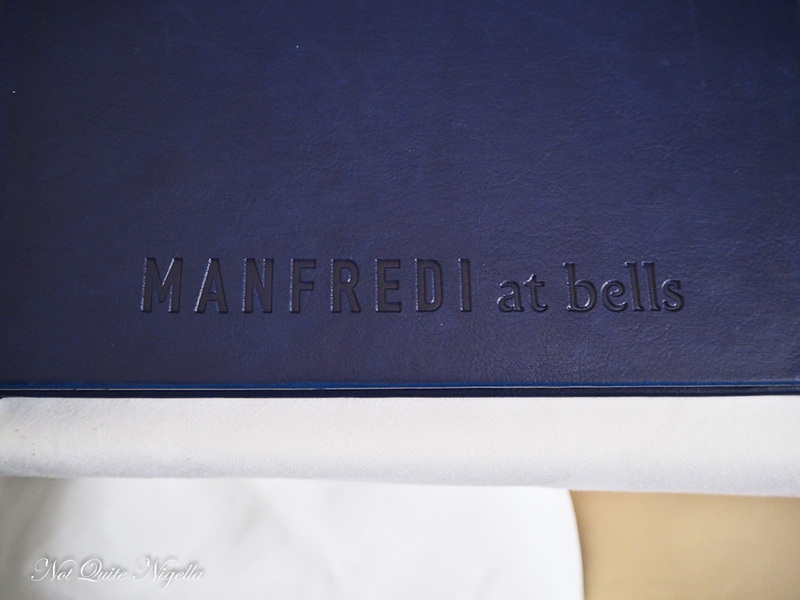 One of the biggest highlights of staying here is of course dinner at Manfredi at Bells. 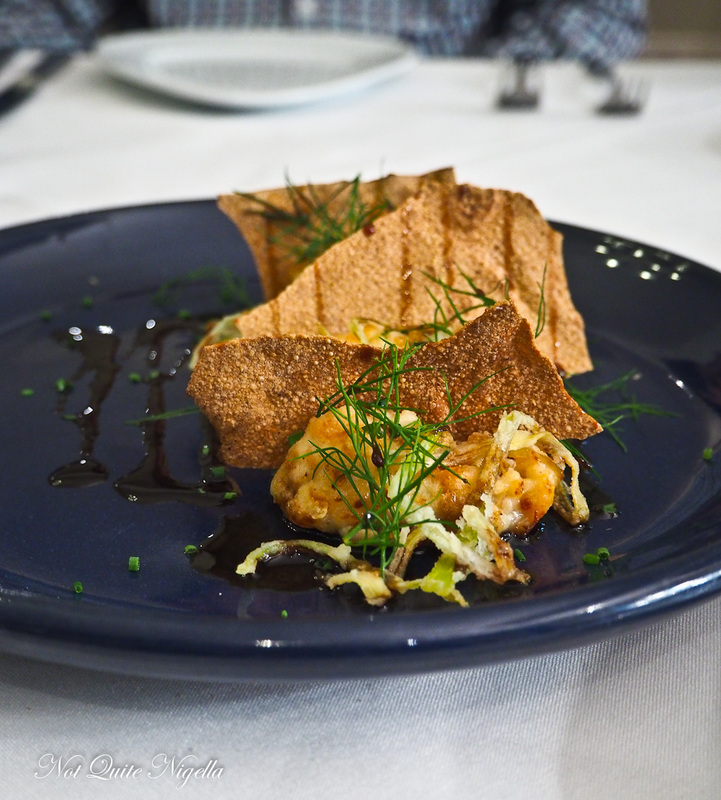 Stefano Manfredi is one of Australia's most prominent chefs and when Bells at Killcare and Manfredi at Bells opened many of his fans were excited to see his new venture. We are offered one of two tables and I choose the one near the pass because it is brighter for photos but also because it is where we sat on our previous visit. "I wonder if the tartufo chocolate dessert will be on too?" remembering a wonderful chocolate dessert we had eaten. The wine list is extensive and Mr NQN chooses a glass of Sangiovese to go with the duck that we choose for our main. Service is excellent from our waitress who is accommodating and friendly. 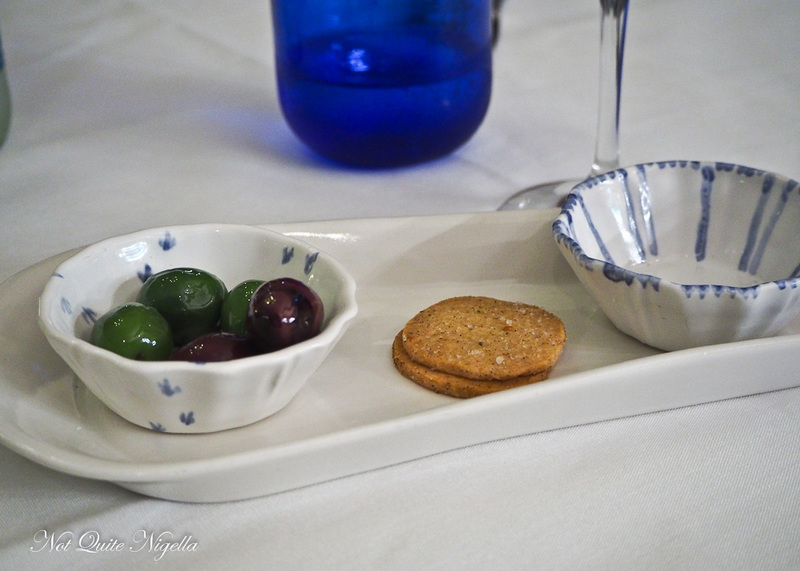 A tray of plump green and black olives arrives with some delicious, wafer-thin parmesan cookies. There's also a generous selection of bread that should come with a small warning - crumbs will go everywhere and it is moreish so you can really fill up on this (who moi? Yes okay I'm talking about me here). Whenever I see figs on a menu I feel as though I should order them as they're one of my favourite fruit and I see them rapidly disappearing at the markets now that summer has come to a close. These baked figs come four to a serve and are wrapped in a generous blanket of prosciutto with a gorgonzola sauce. 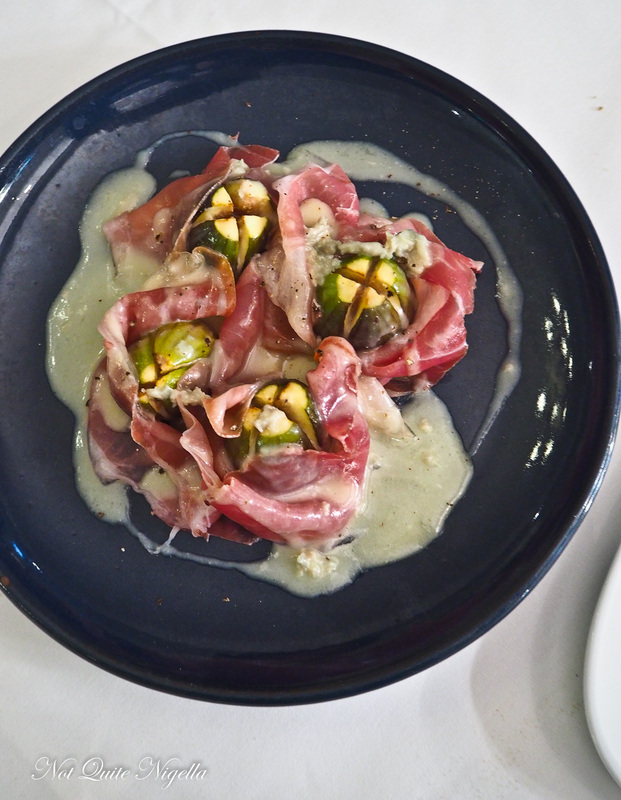 The figs are soft and melt in the mouth and the salty, silky prosciutto and rich sauce enhances the figs beautifully. Chef Marco Ribechini is Tuscan and we were intrigued to try a couple of Tuscan style dishes including a carbonara made using tomato. Another Tuscan style dish is a smoked salmon and leek souffle with thin slices of pane carasau and herbs and a sweet, tangy vin cotto sauce. The souffle is served as three quennelles with deep fried leek on top and it is rich and intense with smoked salmon and cheese. This was a particular favourite dish of mine with its judicious portioning and intense richness. We are used to Roman style carbonaras so we had to try it when we saw that this version is made with tomato and chilli as well as pancetta, eggs and parmigiano. It's available in two sizes and given I had already mentally apportioned a part of my stomach for dessert, we went for the smaller size. 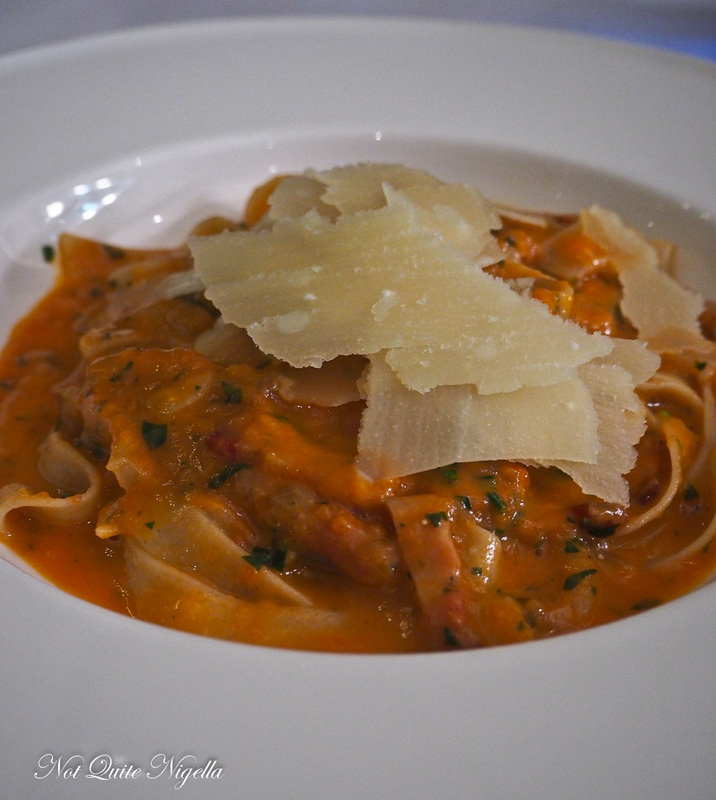 The tagliatelle is al dente in texture with a rich sauce that reminds me of a creamy amatriciana sauce. The chilli isn't particularly spicy but rather offers the lightest tingle. 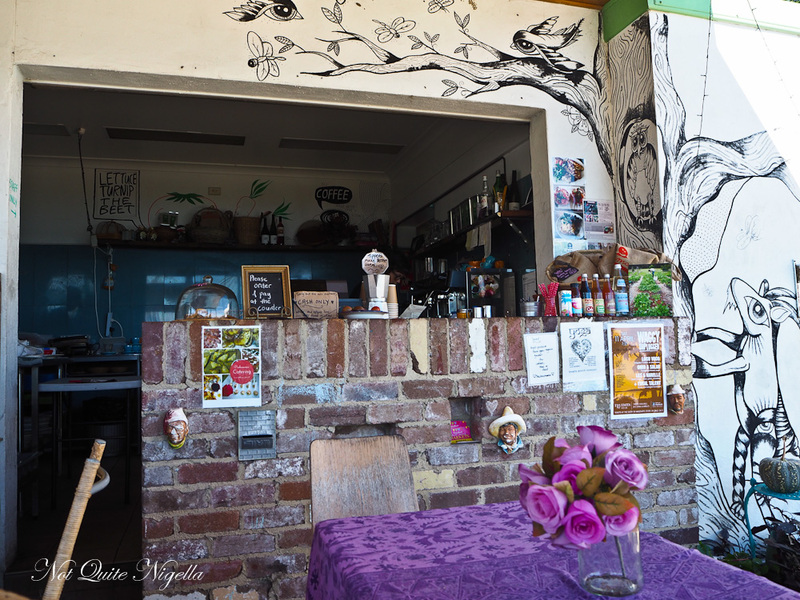 The Jum Jum ducks are grown beside Wyong River in Ravensdale - much of the produce has a provenance that is proudly displayed on the menu, either from NSW or various parts of Italy. Although by now I am quite full I can't help but take a few pieces of the perfectly cooked duck breast with the delightfully crispy skin. 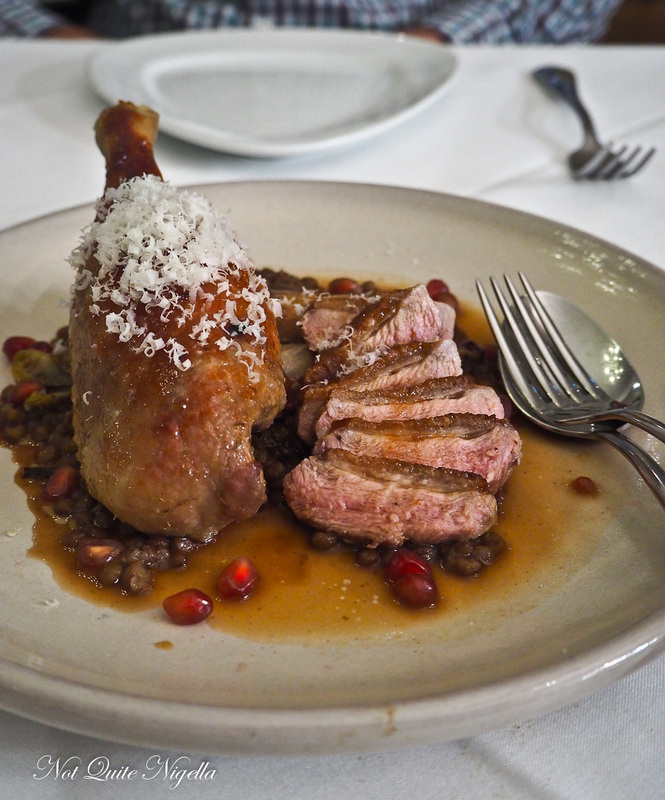 It is paired with a large duck leg and red wine lentils with witlof in balsamic vinegar that lifts the rich meat nicely. 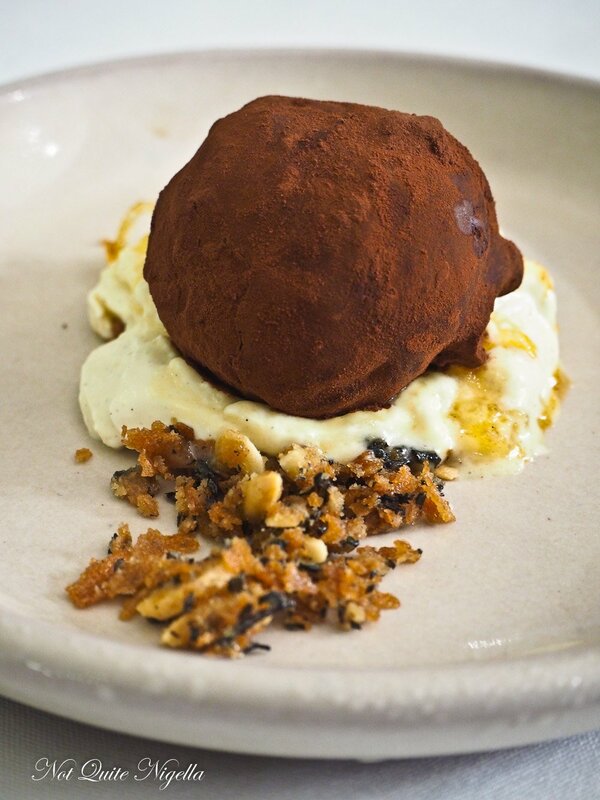 After a bit of dithering back and forth we decide to revisit the truffle dessert. Resembling a truffle, albeit one made out of delicious Amedei chocolate it is finished with a dusting of dirt aka cocoa powder. It has changed slightly from when we last tried it. The last time it was filled with orange but this time its thin chocolate shell is filled with a chocolate ganache and candied lemon pieces. It sits on a bed of bruleed whipped cream with an almond crumble. The white chocolate mousse comes as a single quennelle of airy, sweet chocolate mousse alongside another quennelle of vanilla ice cream to the side (the menu mentioned apricot gelato but it was vanilla). 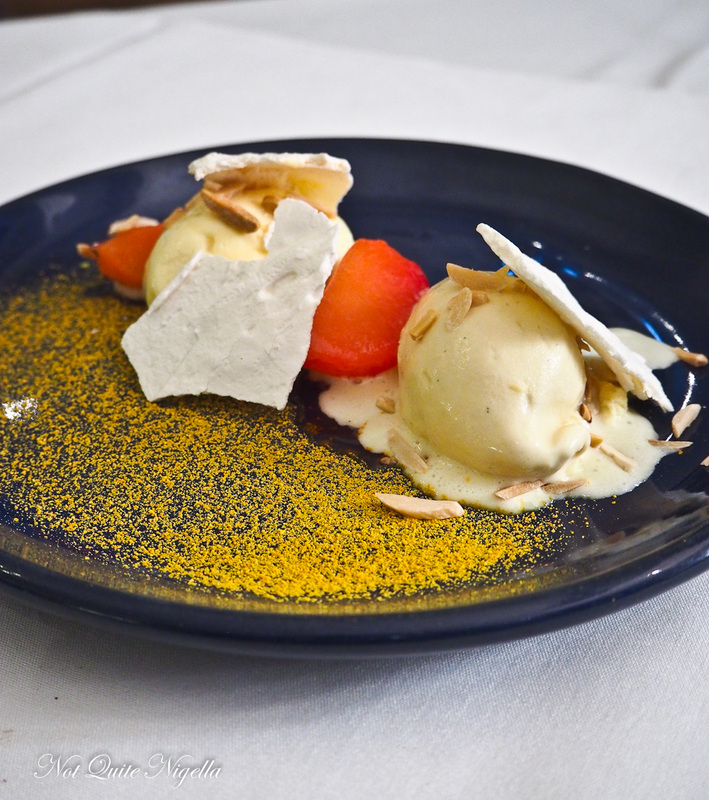 There are a couple of pieces of divine spiced poached peach (we would have loved a bit more peach), sheets of meringue and a citrus powder. The next morning it is an easy rise as we make our way towards Hardy's Bay, just a couple of minutes away from Bells. 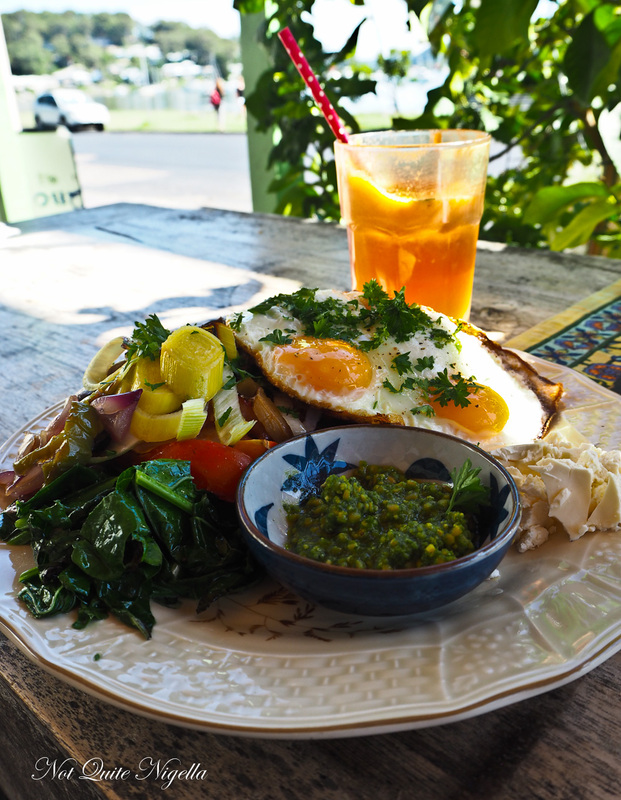 Mr NQN has already blazed a trail through some of this area on his bike and has reported back that Pachamama, our destination for breakfast is a charming one. 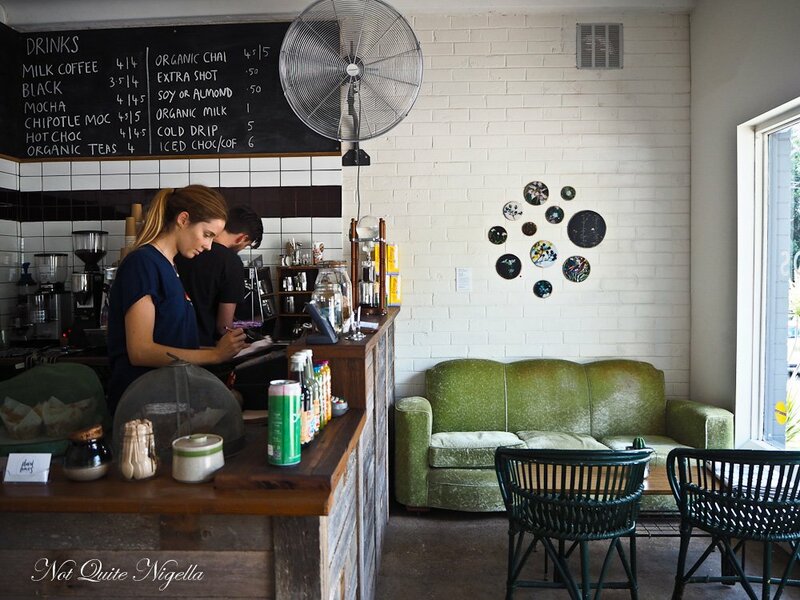 If the Elliotts ever opened up a cafe (and they could cook), it would be Pachamama. Pachamama is the Andean goddess for time and land and owner Ali is a doppelgagnger for Mr NQN's sister Amaya. 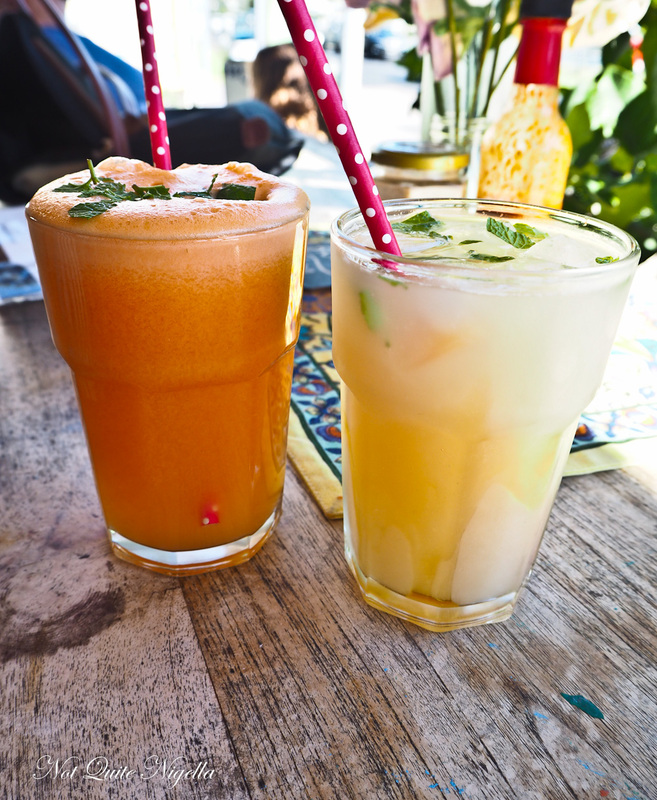 We order juices-mine is a carrot, pear and ginger juice while Mr NQN goes for the ginger elixir, a spicy, flavoursome mix of warming ginger and honey. There is both breakfast and lunch available and since it is 10am we order a bit of both. Our seat at the front of the cafe offers us a lovely view of the beach and it's a busy little intersection with lots of cafes and shops around here. We watch as Ali gathers some herbs from the pots outside the cafe. She brings us our breakfasts and mentions that the kale, capsicum, leek and cherry tomatoes were freshly picked that morning. Ali has a quarter acre block at the nearby Greengate farms where she grows a lot of her produce. The lunch item that we chose was the fish tacos that came in a huge serving. 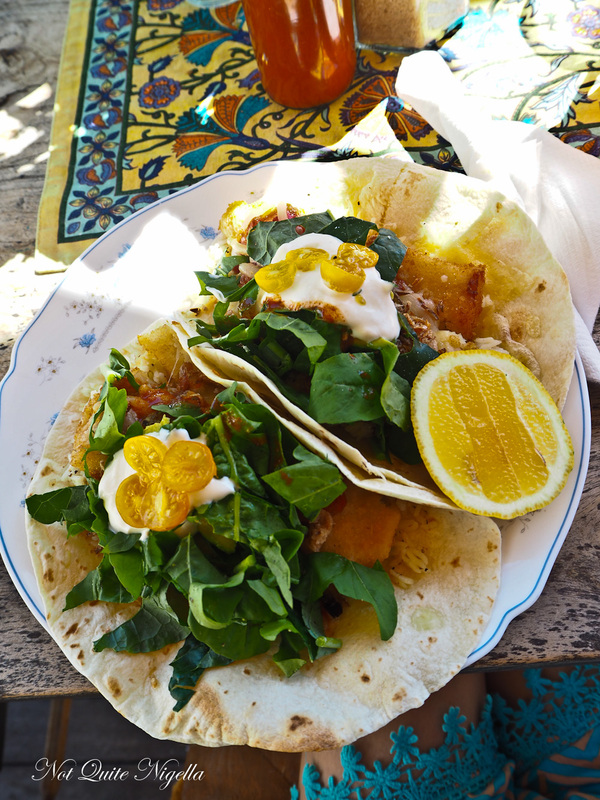 There are two large flour tortillas filled with spiced rice, crumbed fish fillets, avocado chunks, yellow pear tomatoes, rocket and natural yogurt. I douse a little hot sauce on top and it's a wholesome, filling lunch fit for a surfer. So tell me Dear Reader, what sorts of games do you play in the car? And when you go away do you self cater or do you tend to eat out for your meals (or is it a mix?). And if you go back to a place, do you ever re-order a dish that you liked in the past? NQN visited the Central Coast as a guest of these businesses.